The Gospel in Filipino Sign Language: Video. Jesus, filled with the power of the Spirit, returned to Galilee, St Luke tells us. 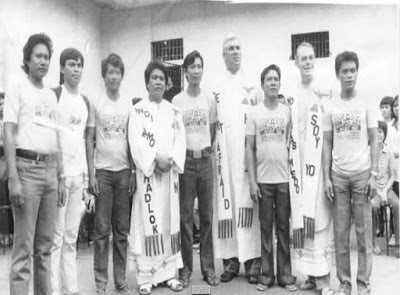 Thirty-three years ago in the Diocese of Bacolod on the island of Negros where I now live in the Philippines the Spirit led nine men to jail, three priests and six laymen, all falsely charged with multiple murder. Fourteen months were to pass before the nine were released. Two of the priests were Columbans, Fr Brian Gore from Australia and the late Fr Niall O'Brien from Ireland. The third was a diocesan priest, Fr Vicente Dangan, now deceased. The six laymen, all working for the Church during the very difficult Martial Law years in the Philippines, were Jesus S. Arzaga, Peter Cuales, Lydio J. Mangao, Conrado Muhal (RIP), Geronimo T. Perez (RIP) and Ernesto Tajones. They became known as The Negros Nine and you can find their photos here. While the Negros Nine were in jail in Bacolod City the late Bishop Antonio Y. Fortich appointed the three priests as chaplains there. The vast majority of prisoners were from poor backgrounds and their cases were being constantly put back. The three priests, as well as ministering to the spiritual needs of the prisoners were able to get lawyer-friends to follow up on the cases of many of those languishing, wondering if they would ever get out. As a result of this, many of them did. He has sent me to proclaim release to the captives . . . to let the oppressed go free . . .
A charge that is often made is that those who are pro-life when it comes to the unborn and abortion are really only 'pro-birth' and not interested in the lives of children once they are born. My friend Lala and her friend Jordan, whom I also know, might dispute this if they had the ability to express themselves in such a way. Lala was left in a garbage bin after birth and raised by the Daughters of Charity in Cebu City. She was born with Trisomy 21 (Down's Syndrome) and Jordan with intellectual and physical disabilities. They now live in the L'Arche community in Cainta, Rizal, part of the Manila urban sprawl. Over the years those who have chosen to live with Lala, Jordan and others for long periods, enabling them to live normal lives, have come from as far away as Germany and Japan. In one corner there was a group of handicapped children, several of them with Down's Syndrome. I brought a plateful of toffees to a little girl who had scarcely any manual control. With great difficulty, she succeeded in taking a toffee but, to my astonishment, she gave it to another child. then for a long time, without ever keeping one for herself, she distributed these sweets to all the healthy children who could not believe their eyes. What a depth of love there is in these physically handicapped bodies . . .
Lala and the little girl who astonished King Baudouin are truly sisters in Christ. He has anointed me to bring good news to the poor. 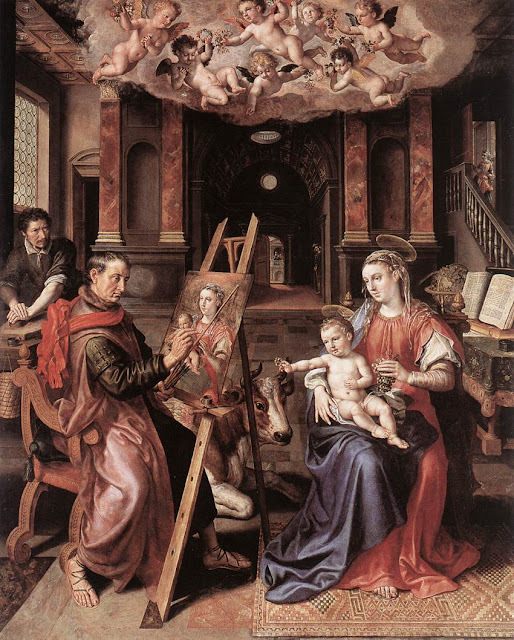 King Baudouin and the able-bodied children with whom the little girl with the disabilities shared her toffees were poor in spirit in the sense that St Matthew means in the first of the Beatitudes, ie, they knew their need of God. They recognised God's presence at the party, just as those who know Lala, especially those who live in L'Arche with her, recognise that the scripture has been fulfilled in their presence and is being fulfilled each day. The Negros Nine were involved in organising Christian Communities where people would work together for the peace and justice that the Gospel demands in an area of awful poverty for many, poverty caused by greed. They suffered with the people because of the demands of the Gospel. Those of the Negros Nine who remain continue to work for justice and peace through the Negros Nine Human Development Foundation. Among other things the foundation is involved in trying to prevent the trafficking of women and minors. To set at liberty those who are oppressed . . .
Three years ago while looking for a musical setting of the Entrance Antiphon I discovered Cantate Domino in B-flat, a setting of part of Psalm 96 (95) in Latin from which the Antiphon is taken, by Japanese composer Ko Matsushita. This came out of the Sing for Japan Choir Project, an international response to the earthquake and tsunami of 11 March 2011. I had not heard of Ko Matsushita nor had I heard of the Sing for Japan Choir Project. I discovered quite a few videos of Cantate Domino and this time have chosen the version of the SYC Ensemble Singers of Singapore conducted by the composer.